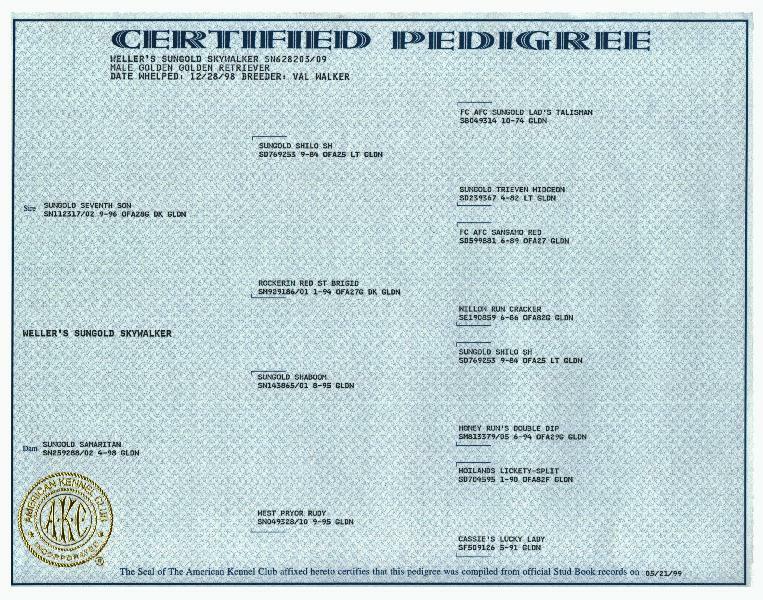 Our Goldens had been registered with the American Kennel Club (AKC) since 1968 when we first purchased one in Wisconsin, and even continued when we moved to Stanstead in 1970. 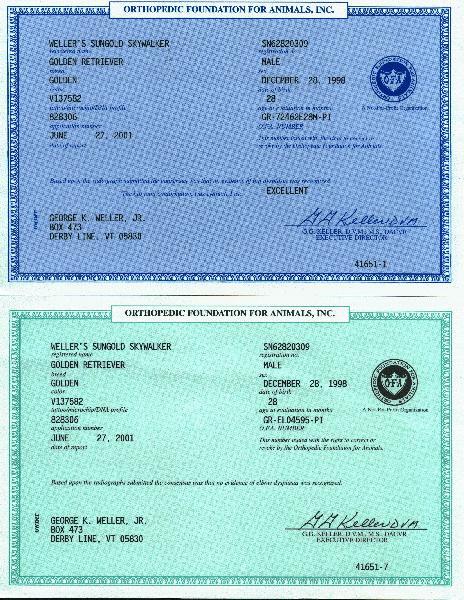 We were last inspected by the AKC June 30, 2004 and found again in compliance. We were told to just keep on using our Derby Line, VT mailing address. 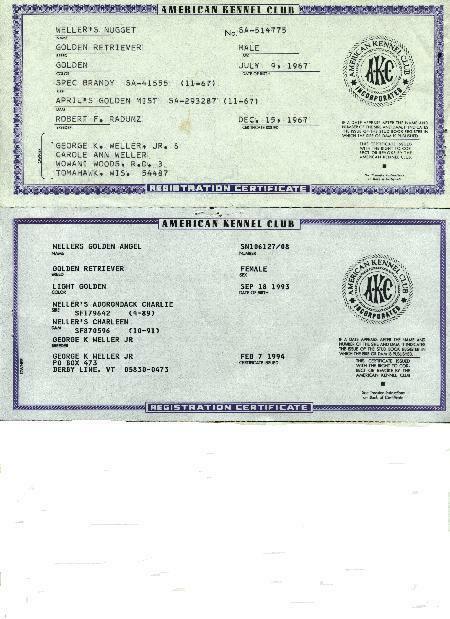 In 2008 we were called by an AKC field agent who wished to come do an inspection of our kennel. However, when he noticed that we were on the Canadian side of the line, he did not wish to come. We were then notified by the AKC that they would no longer register our puppies because we lived in Canada. About 10 years ago I registered a Canadian litter with the Canadian Kennel Club (CKC) and it took 9 months to receive litter papers for customers, while it took the AKC about 2 weeks, so I dropped CKC registry. 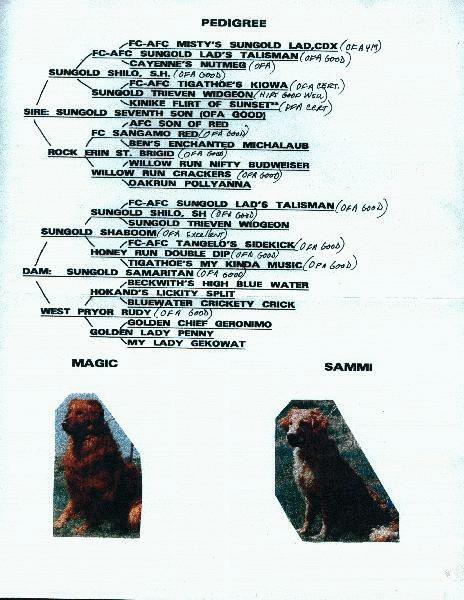 So now since we ourselves are dual Canadian and US citizens I am certifying my puppies as North American Golden Retrievers (NAGR) with their own genealogy that you can inspect or have copies. We only raise Golden Retrievers. We purchase good breeding stock from different areas and concentrate on healthy puppies and dogs. After all the southern tip of our farm is about one mile from the Vermont border.